Mike Storey helps clients, both individuals and corporations, who are embroiled in complex litigation, including matters involving insurance coverage, business disputes, property damage, wrongful death, and professional malpractice. Mr. Storey takes great pride in being able to synthesize complex legal and factual issues into simple and persuasive arguments for both judges and juries. No dispute is too big, as Mike has experience with all phases of litigation and has been and is involved with numerous multi-million dollar controversies, in both state and federal courts. Prior to joining the firm, Mike worked as a law clerk for the Nebraska Supreme Court in Lincoln, Nebraska. The law clerk experience exposed him to wide array of legal issues as he developed a deep understanding of the appellate process. He also gained invaluable insight on how to review cases holistically that he now utilitizes on behalf of his clients throughout the litigation process. Mr. Storey first developed his analytical and oratorical skills as a two-time national champion debater while attending Creighton University. While not working, Mike enjoys golfing, playing recreational basketball and spending time with his wife, Anne. Obtained favorable settlement for client in a multi-million dollar insurance allocation matter, which included claims of bad faith and failure to cooperate, in which he was responsible for all pretrial matters, including document discovery, motion practice, and fact and expert depositions. Defended wrongful death action in a transportation case, including discovery and expert depositions that ended with a favorable nuisance value settlement for client. Represented an employee in all stages of wrongful termination litigation, including as second chair in a week long federal jury trial. Achieved dismissal of numerous lawsuits as primary author of motions to dismiss for lack of personal jurisdiction in the United States District Courts for the Middle District of Pennsylvania and Eastern District of Wisconsin, as well as in the state courts of Nebraska. Obtained summary judgment in a medical malpractice action alleging professional negligence, assault, and libel. Managed, reviewed, and analyzed document productions in complex litigation matters involving hundreds of thousands of pages of electronically stored information. 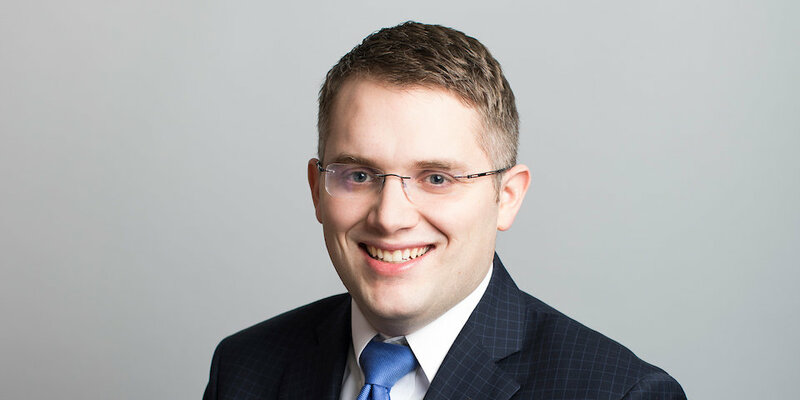 Mr. Storey received his law degree from St. Louis University School of Law with honors, and his undergraduate degrees with honors, from Creighton University. CALI Excellence for the Future Award: Civil Procedure I; CALI Excellence for the Future Award: Legal Profession. Board Member for the non-profit organization Nebraska Enterprise Fund, which provides up to $150,000.00 loans directly to Nebraska Businesses, with a specific focus on minority owned businesses, which are unable to secure traditional bank loans. Member of the Nebraska Disciplinary Review Board, representing District 4. Judicial Clerk to the Honorable Michael McCormack, Nebraska Supreme Court.